Summary: As we watch the candidates babble in the Campaign2016 circus, we can look across the Pacific to see a rational geopolitical strategy, something America has not had for decades. Here’s a note about China rebuilding its fabled Silk Road — revised for the 21st century. Over the next several years, China will devote significant resources to the construction of Eurasian trade routes under its Belt and Road Initiative. As transit routes come online, the proportion of Chinese maritime trade passing through South China Sea chokepoints will shrink. The new infrastructure built as part of the Belt and Road Initiative will support China’s economic rebalancing by opening new markets, generating demand for higher value-added Chinese goods and helping China build globally competitive industries. Improving transit routes will lead to new security and political risks, and China’s efforts to mitigate these threats could create frictions in the very areas where Beijing is trying to diversify its trade routes. In 2013, China’s President Xi Jinping proposed a plan to stimulate development in Eurasia by constructing what he called the Silk Road Economic Belt and the 21st Century Maritime Silk Road — revivals of the overland and maritime trade routes that once connected China and Europe. Since then, the “Belt and Road Initiative” has become a fixture in official Chinese discussions on both foreign and domestic policy. Nonetheless, the initiative is still loosely defined. Beijing claims there are about 60 Belt and Road countries, but there is no public listing of these countries. Although the initiative clearly centers on infrastructure investment, Chinese media coverage offers no straightforward definition of what projects count as part of the program. A pledge to install signs and information kiosks in Armenia is said to be under the banner of the Belt and Road Initiative, as is a $46 billion infrastructure investment package that Xi promised to Pakistan in April. The Modi government’s hardline strategy in Kashmir is a straight lift from the approach suggested by National Security Adviser Ajit Doval in 2010. Speaking about protests that year he told policymakers not to overreact and give in. He said the crisis will pass off, “It looks big in the midst of it, they cannot sustain it beyond a point and even if they do there is a price they have to pay.” As an assimilationist strategy it has certain astute aspects but it will eventually harm India and damage Kashmir irreparably. Kashmir is bracing itself for another crackdown. The Narendra Modi government has made it clear that it wants to take back control of the streets from stone-pelting youth. A security official told the Business Standard “Sooner or later, we will have to retake control in South Kashmir. The longer we wait, the more emboldened the protesters become, the more force will be required to deal with them”. What is bewildering analysts is the persistence of Delhi’s hardline strategy. More than 80 civilians have been shot dead, many blinded and over 10,000 reportedly injured. There is no attempt to scale back the response of security forces. Indian governments have brutally put down unrest before such as in 2010 when 120 youth were killed – but this time Delhi’s reaction seems to be crafted for larger purposes. To establish that this flows from a well-thought strategy one needs to see a candid 2010 lecture on Kashmir by India’s National Security Adviser Ajit Doval and discern the continuity between the approach he commended then and Delhi’s policy now. The lecture, available on YouTube, offers a fascinating insight into how Doval and the Modi government view the Kashmir question. Author’s Note: This monograph is a revision of a paper submitted for consideration during the 2008 U.S. Army Command and General Staff College historical writing competition for CGSC Course 08-01. The original paper was awarded 2nd place in that competition. In revising the monograph, the author added considerable original work and thought on the subject of professional military education relative to the lessons learned from the German general staff as it pertains to the foundation of our American system of professional military education and the roots of the U.S. Army General Staff. Innovation within western militaries over the centuries is at best a contentious subject, not by historical standards, but when attempting to judge the innovation in the context of the period in which it occurred. Too often, a particular aspect of military innovation or evolution is viewed or evaluated solely along the lines of its technological cause and effect. Often, however, the subtle effects brought about by shifting cultural norms or values are what lead to enduring forms of non-technical or administrative military innovation. Political commentator Max Boot observes that, “History abounds with examples of the failure to effectively innovate.” However, in looking at the Prussian example of the creation of the General Staff in the early nineteenth century, an example is provided that illustrates a very successful non-technical, administrative military innovation which not only greatly upset the overmatch of Napoleonic dynastic military power, but continued to resonate in Germany during the interwar period between World War I and World War II. The creation of the Prussian General Staff was a profoundly administrative innovation that had virtually nothing do with technology and was born of a Prussian desire of self-preservation in the face asymmetric advantages of the Grand Armée based on the reforms brought about by the French Revolution and Napoleon. Forty-eight hours after the 26/11 attacks, Mumbai still burning, Prime Minister Manmohan Singh chaired a meeting of grim-faced security officials to consider the most important decision leaders can make. The evidence that the Lashkar-e-Taiba was involved, National Security Advisor M.K. Narayanan pointed out, was irrefutable. India, he argued, had to punish the perpetrators — or open itself up to further assault, time and again. Fali Homi Major, the then Air Force chief, told the prime minister he was prepared to strike inside Pakistan — but could not do so because the intelligence services could not provide adequate digital data on Lashkar camps. Army vice-chief Milan Naidu insisted on waiting for his boss, then out of the country, to return — and when General Deepak Kapoor was consulted, he flatly said the army could not wage a surgical strike. “They did nothing,” said the man who is now India’s Prime Minister, in a campaign speech centred on 26/11, “Indians died and they did — nothing”. “Talk to Pakistan in Pakistan’s language,” he said, “because it won’t learn lessons until then”. The world is less cautious, less politically correct and less and less reined in by coherent global leadership. September 2016 is not September 2001; it is not even November 2008. Even if one discounts the war gaming in news television studios and the civilisational conflicts being played out daily on social media, it is apparent that the aftermath of the Uri attack is not the same as that of the Pathankot raid in January this year. True, there is enough in common between the two incidents. In Pathankot, an Indian Air Force base was invaded by a terror militia. In Uri, an Indian Army camp was targeted. In both cases, the victims were men in uniform, rather than civilians. Yet, that is where the similarities cease. The sheer number of soldiers killed in Uri — 18 — makes this a bigger political-management challenge for the Narendra Modi government. The public anger and grim mood in the ranks of the Army are understandable. Seldom if ever in peacetime has the Indian Army lost so many soldiers in one day. There is the sense that an assault of this nature, so close to the Line of Control, would have required logistical support and meticulous planning that could only have come from military backing by (sections of the) Pakistani state. Gathering evidence regarding the four terrorists who stormed the army base in Uri, killing 18 soldiers, suggests they are from Pakistan and had been sent across the border explicitly for this attack. In fact, the entire operation has the fingerprints of Pakistan’s military establishment, showing yet again the country’s persistent use of terrorism as state policy. The four terrorists reportedly got to the camp early in the morning, in all probability across the Line of Control just 6 km away. The terrorists carried automatic rifles, under-barrel grenade launchers and other equipment, most of it with Pakistani markings, according to Director General of Military Operations Lt. Gen. Ranbir Singh. Over the last three decades or so, India has been at the receiving end of Pakistani statecraft of terrorists unleashed to attain state objectives; Uri is the latest provocation. India has limited manoeuvrability as far as a military response goes. Narendra Modi’s restrained, but firm, response is an indication that India may not play the reckless game many would like it to. Condemning the “cowardly” attack, he said those behind it would not go unpunished — the heavy-lifting will in all probability be done diplomatically. The idea originally was to write about a very sinister development in Kashmir that is staring us in the face and yet isn’t really being accorded the importance it deserves. But as happens so often, the immediate and urgent supersedes the important. The terror attack on the army base in Uri – 17 soldiers have died and it is feared that the figure may go up since some of the wounded are reportedly in a critical condition – is being described as ‘a watershed moment’. But if at all it is anything, it is a moment of truth for the government, for the Indian state and for the Indian people. The Uri attack has caused not just outrage, but also raised an outcry for visiting retribution on the terrorists and their handlers – the Islamic State of Pakistan. The mood is dangerously ugly and there will be enormous pressure on the government to not just talk tough but also act tough. Not only is the reputation of the government at stake, its political credibility too is at stake. What this means is that more than the whys and whereofs of the Uri attack, it is the what nows that are more important. Although Prime Minister Narendra Modi has assured the country that ‘the attack won’t go unpunished’, he doesn’t have too many options available to him to punish the planners and perpetrators of the Uri terror attack. 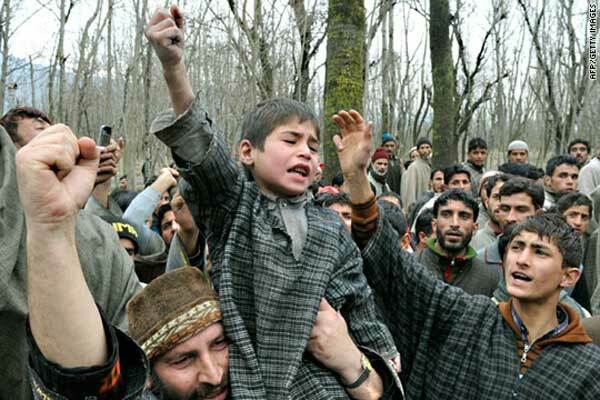 Kashmir Valley Troubles: Has the Penny Dropped? The recent events in Kashmir and robust Indian response does seem to indicate that Indian approach to trouble in Kashmir valley has finally come to terms with changed global scenario. Unmindful of the howl of protest from the usual media/political suspects, the govt. of India cracked the whip and imposed curfew on the holy day of Bakar Id. There are indications that the security provided to the separatist leaders is also likely to be withdrawn. Kashmir issue complexities could be understood only in the context of the global situation and forces. This hardening of position has not come a day soon, in fact it is a belated realization (thanks to the advent of Modi government) that one of the important aspect of the Kashmir problem, the international dimension, has changed in India’s favour giving India much greater space to maneuver. Kashmir issue has three distinct dimensions. It is an internal problem of people in Valley wanting independence from both India and Pakistan. It is regional problem since Pakistan wants the whole of J&K to merge with it. Internationally, during the Cold War, the West came down in favour of its ally Pakistan and against pro Soviet Union India. These are not watertight compartments and impact on each other. Kashmir issue complexities could be understood only in the context of the global situation and forces. A look at the history of international intervention in Kashmir is well worth our time to understand the present. The motives of China and US in interfering in Kashmir were similar. China also uses it as a pressure point against India taking up the issue of Tibet as well as to keep India engaged in the region so as not to let her influence South East Asia- the natural battle ground between Indic and Sinic civilization. The US in the past saw many uses of Kashmir. It was a convenient pressure point on issue like the Nuclear Non Proliferation. On a long term basis, the US thought of detaching Kashmir to be used as a wedge to disintegrate India or at the least force a second partition on religious lines. Late Jean Kirk Patrick, the US permanent representative in the UN in 1980s is on record of having said that India is too large and unwieldy and needs to be broken up in several manageable parts. President Clinton’s Secretary of State, Albright (a contradiction) was a vocal supporter of Kashmiri separatists. In the 1990s, it was not unusual to hear slogans in the valley hailing President Clinton as a savior. A recent report of National Consortium for the Study of Terrorism and Responses to Terrorism contracted with the US state department has revealed that India is the fourth in terms of terrorist victimhood, the other three being Iraq, Afghanistan and Pakistan. 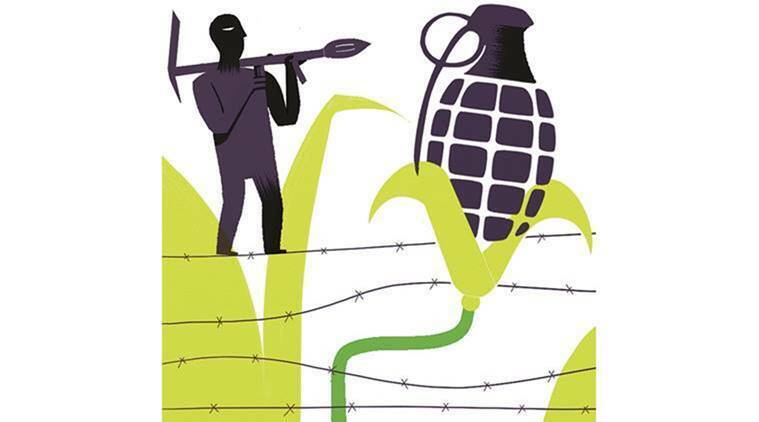 The jihad that consumes Iraq, Afghanistan and Pakistan is explicable, but why on this earth, India – a non-Islamic country, is being buffeted by terrorism to the extent that it has become the fourth worst victim. It is pertinent to note that the first three are Islamic countries, which are in a state of destabilization for various reasons that continue to haunt the so-called Muslim World. Iraq continues to be destabilized since the US attack on Iraq in 2003. Similarly Afghanistan continues to be in the grip of violence since 2001. The vicious and bigot Taliban retreated from Afghanistan but retained the ability to wage ‘Jihad’. And as far as Pakistan is concerned it occupies a different category because it uses jihad as an instrument of state-policy and a tool for proxy war against India and Afghanistan, hence it cannot escape the blowback. The jihad that consumes these three countries is therefore explicable, but why on this earth India, a non-Islamic country, is being buffeted by terrorism to the extent that it has become the fourth worst victim. India’s foreign policy towards East Asia has witnessed a marked shift over the last two years, with the government intent on transforming India’s relations with this part of the world under its “Act East” policy. Vietnam is, of course, one of the East Asia Countries which has received a special place in the list of India’s foreign policy priorities, given its profound significance in India’s strategic and economic interests. This became evident when President Pranab Mukherjee and External Affair Minister Sushma Swaraj visited Vietnam respectively in 2014. In the same year, Delhi hosted Vietnam’s Prime Minister Nguyen Tan Dung. 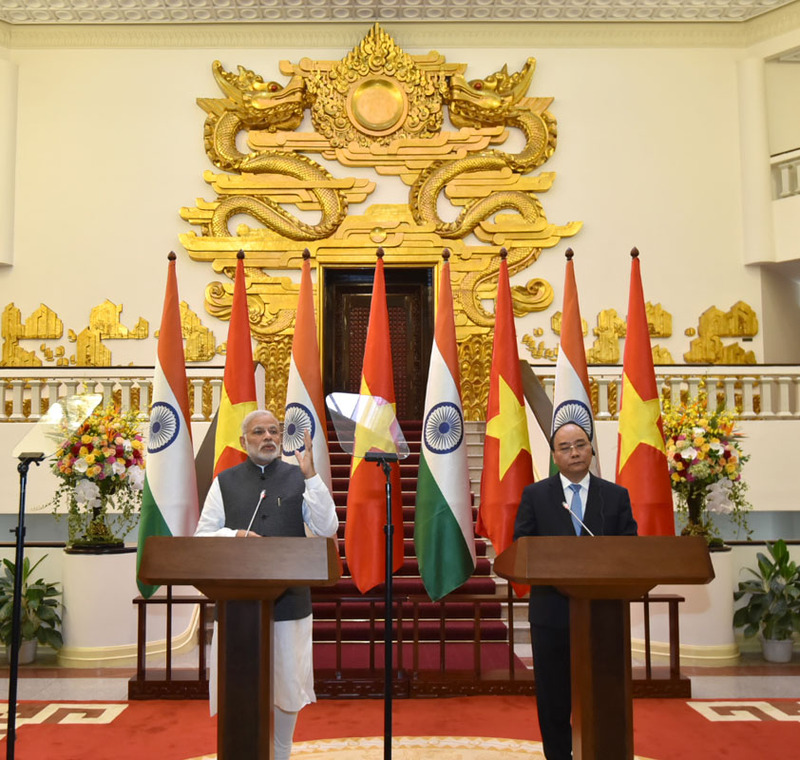 The just concluded visit of PM Modi to Vietnam, first in the last fifteen years by an Indian Prime Minister, is being viewed to have finally led the foundation for the beginning of a new chapter in the cherished relationship between the two countries. While Defence cooperation has been an important cornerstone of the strategic partnership between the two countries for the last many years, New Delhi and Hanoi have taken several steps to expand their cooperation in the recent time. During Pranab Mukherjee’s visit, India provided a credit line of US $ 100 million for defence procurement. The two countries signed a vision statement for next five years in 2015 and a MoU on cooperation between the coast guards of the two countries. During his two day visit Prime Minister Modi announced extending a new defence credit line of $500 million and elevated the strategic partnership to the comprehensive strategic partnership, signifying India’s deep commitment to help Vietnam to build its defence capabilities. The deepening defence engagement between India and Vietnam indeed is the reflection of India’s deeply interested in actively participating in shaping the political security order in Asia-Pacific. In so doing, the Indian strategic community believes that a strong defence relationship with Vietnam can prove a huge strategic asset for India, so far as its interests in the South China Sea are concerned. As About 50 per cent of its trade transits through the South China Sea, New Delhi needs foster security ties Hanoi to ensure that there is absolute freedom of navigation in this part of the world. Pakistan’s pursuit of actions to confront and counter India will likely gain momentum in the face of New Delhi’s evolving policy on Balochistan. “The spirit of independence in occupied Kashmir [sic] is on its peak. The new generation of Kashmiris has raised the flag of freedom with new vigor,” declared Pakistani Prime Minister Nawaz Sharif in his Independence Day speech last month. 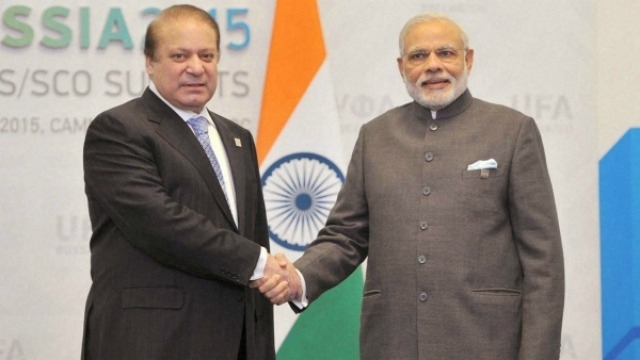 Sharif’s speech came shortly after home minister Rajnath Singh – who visited Islamabad for the SAARC Home Minister’s conference – left the country in a huff, allegedly as a result of less-than-cordial treatment meted out to him by his hosts. Since then, Pakistan has attempted to rally its diplomatic corps to call the world’s attention to India’s response to the large-scale rioting in Jammu and Kashmir. Prime Minister Narendra Modi, on his part, assailed Pakistan for its continued use of terrorism as an instrument of foreign policy and made references to Balochistan in his Independence Day speech to the nation. More recently, India’s representative at the United Nations Human Rights Council unequivocally raised the issue of human rights violations in Balochistan on September 14. While there has been debate on the wisdom – or the folly – behind Modi’s statement on Balochistan, it is important to anchor our analysis on the current state of civil-military relations in Pakistan, which might help in gauging Pakistan’s potential reaction to the Indian government’s new policy. Now, at the twilight of his presidency, these goals are receding further into the distance as America’s longest war deteriorates into a slow, messy slog. Yet despite this grim reality, there has been no substantive debate about Afghanistan policy on the campaign trail this year. Neither Donald Trump nor Hillary Clinton has outlined a vision to turn around, or withdraw from, a flailing military campaign. The war in Afghanistan has cost American taxpayers in excess of $800 billion — including $115 billion for a reconstruction effort, more than the inflation-adjusted amount the United States spent on the Marshall Plan. The Afghan government remains weak, corrupt and roiled by internal rivalries. The casualty rate for Afghan troops is unsustainable. The economy is in shambles. Resurgent Taliban forces are gaining ground in rural areas and are carrying out barbaric attacks in the heart of Kabul, the capital. Despite an international investment of several billion dollars in counternarcotics initiatives, the opium trade remains a pillar of the economy and a key source of revenue for the insurgency. Its faith in Pakistan as an interlocutor for peace shaken, Afghanistan opts for a tighter embrace of its old ally India. Bangladesh, China, India and Myanmar-Economic Corridor (BCIM-EC) seeks to deepen friendly cooperation among the four member nations and connect South Asia with South East and East Asia by establishing multi-modal connectivity, harnessing economic complementarities, promoting trade and investment and enhancing people-to-people contacts. 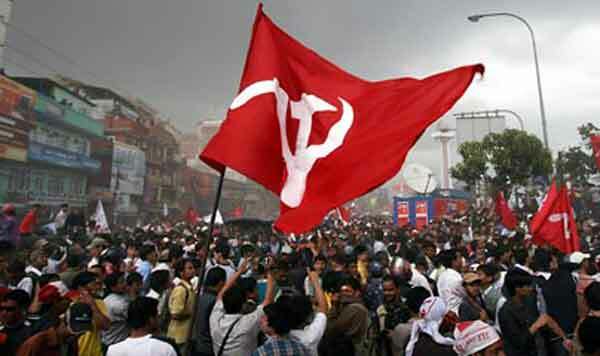 The proposed economic corridor would run from Kunming, a south-western Chinese city, to Kolkata via Mandalay and Dhaka. This regional grouping has unique features which could potentially bring huge benefits to the participating nations through integration of their economies. The BCIM region is home to 40% of the world’s population. It covers 9% of the world’s total area and contributes 7.3% of the global gross domestic product. There has been commonality of interests between the two rising global economic powers, China and India, on the one hand, and Bangladesh and Myanmar, the two Least Developed Countries (LDCs) in the group, on the other. The idea of creating such an economic corridor was first conceived by Chinese scholars in Yunnan by the end of 1990s—then called the “Kunming Initiative”. It converted into BCIM Forum for Regional Cooperation when its meeting was first convened in 1999, with the objectives to: a) build a forum where the key stakeholders could meet periodically and discuss issues related to the enhancement of economic growth and trade in the BCIM region; b) identify specific sectors and projects that would promote greater collaboration among the BCIM nations and c) strengthen cooperation and institutional arrangements among major players and stakeholders to deepen BCIM ties. One of the frequent arguments made about China’s 20-year-long military buildup is that its locally produced weapons are better than they used to be. To a certain extent this is true, if hardly surprising. Relatively modern systems, such as the J-10 fighter jet, the Yuan-class submarine, and the Type-99 main battle tank, are certainly superior to the weapons systems they replaced, that is, the J-7, theMing-class sub, and the Type-59 tank – all basically copies of Soviet weapons dating back to the 1950s. They could not help but be better. This text explains the motives behind the ambitious Belt and Road Initiative (BRI), which is designed to weave neighboring countries into a network of economic, political, cultural and security relations with China. The grand strategy behind this work-in-progress is to reconstitute a Eurasian regional order that has its own governance-related ideas, norms, and rules. The text’s author concludes that European countries should respond to this challenge by stressing their commitment to multilateralism, transparency, accountability, and the rule of law in an open, rule-based global order. As a result of this exchange, Turkey refrained from moving into Syria. Three years later, a coup removed the Turkish leader from power. The generals behind it executed him shortly thereafter. As you have likely guessed by now, this does not describe the current situation in Turkey. The discussion happened in 1957, as recorded in declassified State Department files in the National Archives and Records Administration. The coup occurred in 1960. The ambassador was Fletcher Warren and the prime minister was Adnan Menderes. Syria fell into the anti-Western camp as a result of the ouster of Western leaning President Adib Shishakli in 1954. The coup was orchestrated by the Syrian Communist Party, former Syrian President Atassi, and Druze officers in the Syrian army. After the coup, the communist and Arab nationalist elements seized greater control within the country’s political and military apparatus. Both Turks and Americans perceived further communist take-over of Syria as a vital threat to the containment of communist expansion in the region. The Menderes government considered a military intervention to prevent total communist control of Syria. By doing so, Menderes also hoped to keep resentful military officers busy with Syria. However, Washington sought to disrupt communism in Syria with CIA covert action. Does the targeted killing of terrorists and militants yield the desired results? Past studies have been inconclusive on this question, argues Charles Kirchofer, because they’ve 1) over-concentrated on the disruptions caused by such operations; 2) failed to differentiate between their the deterrence and compellence value; and 3) haven’t accounted for the timing of the attacks. If you factor these variables into your analyses, here’s what you get . . There is little consensus among scholars on whether targeted killings of members of terrorist and militant groups work, though some have argued that they do, at least under certain circumstances. Most of the work so far has focused on the ability of targeted killings to disrupt targeted groups’ ability to function. In many cases, work has centered on whether they work and not addressed how they work if they do. There has been insufficient study of the coercive effects of targeted killings and these studies have often produced mixed results, with violence sometimes increasing and sometimes decreasing after targeted strikes. This article argues that the focus on disruption and a failure to differentiate between deterrence and compellence and properly to account for the timing of attacks may be at least partly to blame for the mixed record observed from the use of targeted killings. It asserts that targeted killings are inherently compellent and can therefore only be used to change a status quo and potentially establish new “rules of the game.” They cannot be used to deter (i.e. to maintain current rules). Taking this into account could shed new light on discussions of the appropriateness of targeted killings in given situations and their effectiveness overall. The war against the Islamic State of Iraq and the Levant (ISIL) and its affiliates is the first war fought in the age of Facebook and Twitter. This new strategic environment means that the actions and comments of ordinary citizens or politicians everywhere—Muslims in Raqqa, Christians in Iowa, and everyone in between—have unprecedented military significance because of their potential impact on the global ideological contest. As actions in Afghanistan and Iraq have made clear, victory over radical Islamic insurgencies depends on winning the battle for the hearts and minds of local civilians, where the most persuasive arguments are economic development, political inclusion, cultural respect, dignity, and reliable safety. Militaries cannot and should not have to achieve these objectives alone. However, faced with a global Islamist insurgency, the United States government and its political system continue to put forth military-heavy policies which advance these strategic objectives haphazardly. Decried by some as “Whack-a-mole” or reactionary,1 military-heavy policies tend to focus on killing fundamentalists or dismantling networks while complementary policies to alleviate radicalism’s root causes—lack of dignity and economic opportunity in the Muslim world—receive considerably less funding and enduring commitment. 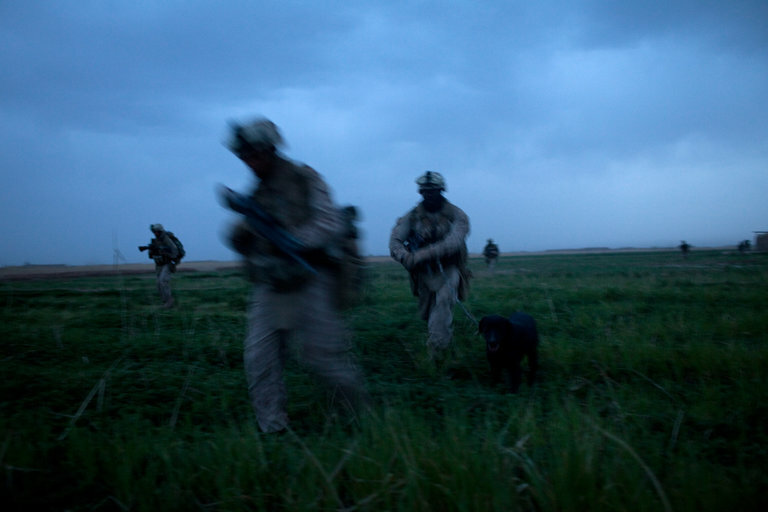 To avoid continual repeats of the bloody and painful disappointments in Iraq, Afghanistan, Libya, and Syria, the United States and its allies must change their approach to this global ideological insurgency. They must meet this threat with global counterinsurgency, which has never been needed before. 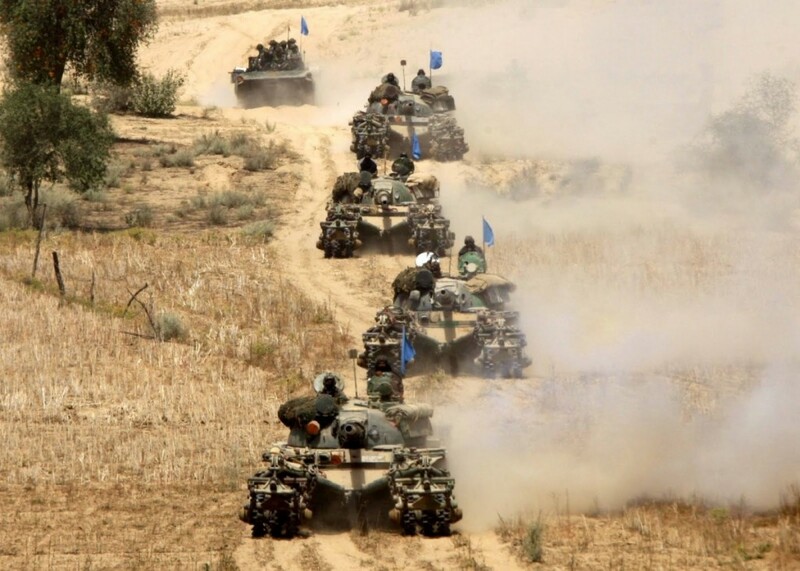 In an age when civilizations are simultaneously clashing and intertwining, this will require new strategies, tactics, and unprecedentedly large-scale thinking grounded in proven counterinsurgency doctrine. While Secretary of State John Kerry deserves credit for his determination to seek a diplomatic resolution to the Syria crisis—and for his political courage in negotiating with Moscow to get there—America’s Syria policy continues to amass self-inflicted wounds that make a very tough problem even harder to address. With four months remaining in President Barack Obama’s final term in office, the president seems increasingly likely to bequeath this tragic mess to his successor, notwithstanding his apparently reluctant tolerance of Kerry’s effort to salvage Obama’s legacy. At this point, however, Kerry’s determination and courage won’t be enough—Mr. Obama must make some tough decisions about the situation he leaves behind on January 20, 2017. U.S. airstrikes that apparently killed at least sixty Syrian government soldiers, and which Washington now acknowledges, make the latest tenuous effort at a ceasefire/humanitarian access arrangement much more difficult to implement. First, the strikes further poison an already profoundly mistrustful relationship between the United States and Russia, two essential participants in any settlement. Russia’s Foreign Ministry was unusually harsh in reacting to the incident, accusing U.S. pilots of conduct “on the boundary between criminal negligence and connivance with Islamic State terrorists.” Vitaly Churkin, Russia’s Permanent Representative at the United Nations, described it as “quite significant, and frankly suspicious” that the attack would happen when it did, implying an American effort to undermine the current agreement, which envisions coordinated U.S.-Russian strikes against the so-called Islamic State in Iraq and Syria (ISIS) following a seven-day cease fire and access for humanitarian assistance convoys. In last week's Security Weekly, I talked about the threat posed by skilled and imaginative terrorists who are capable of conceiving, planning and conducting sophisticated attacks. Countering these novel means and tactics takes an equally creative approach to crafting security measures. This idea dovetails nicely with a presentation I gave Sept. 14 at an InfraGard conference in Orlando on the dangers and limitations of using information found on the internet. The key point of my talk was that although a lot of data is available online and can be used by those planning an attack, there are also critical pieces of information that cannot be found on any website and can be gleaned only through physical surveillance. Where these two topics intersect is the terrorist attack cycle. No matter how innovative a terrorist planner is or how sophisticated his tradecraft, he is still bound by the constraints inherent to the attack cycle. Furthermore, though information found on the internet can greatly assist terrorists and reduce the amount of physical surveillance required, gaps between what is available online and what is needed to plan an attack remain. By identifying and monitoring these gaps, security personnel can detect attack preparations in time to stop a plot in its tracks.